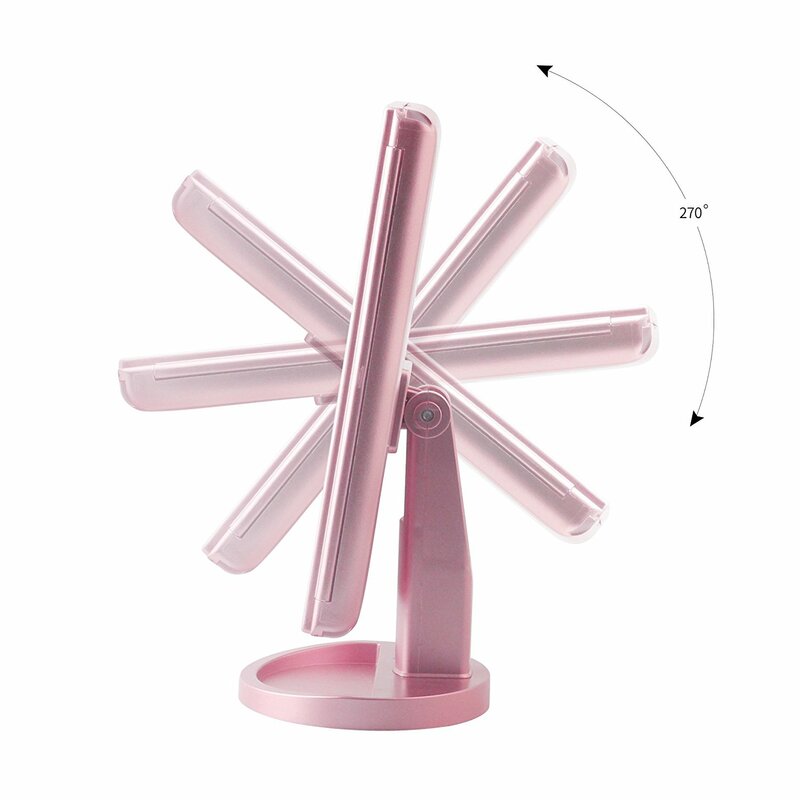 Can stand in a flat position . 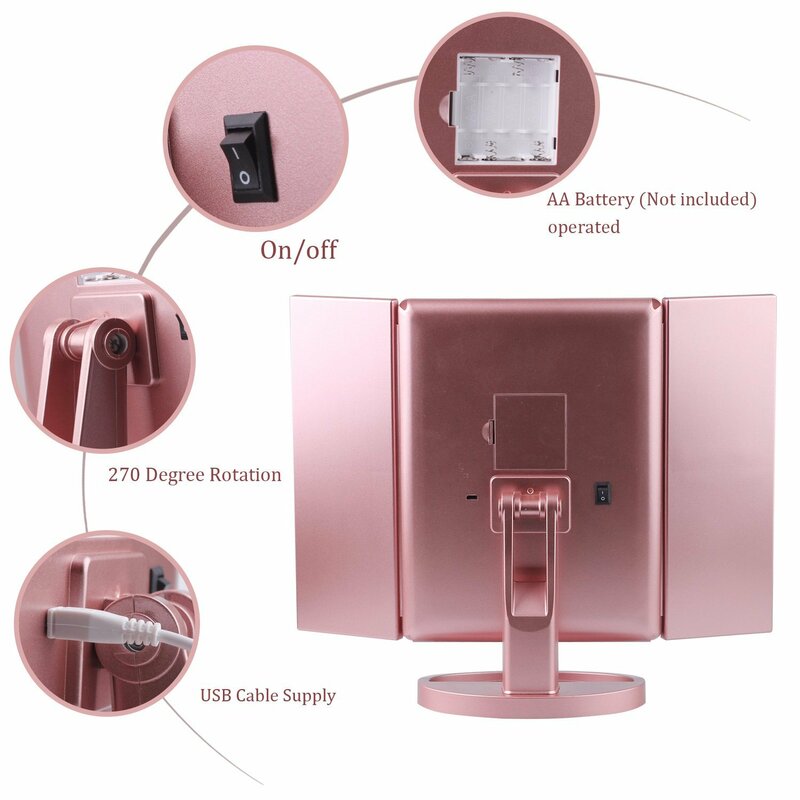 The material used is not easy to damage. 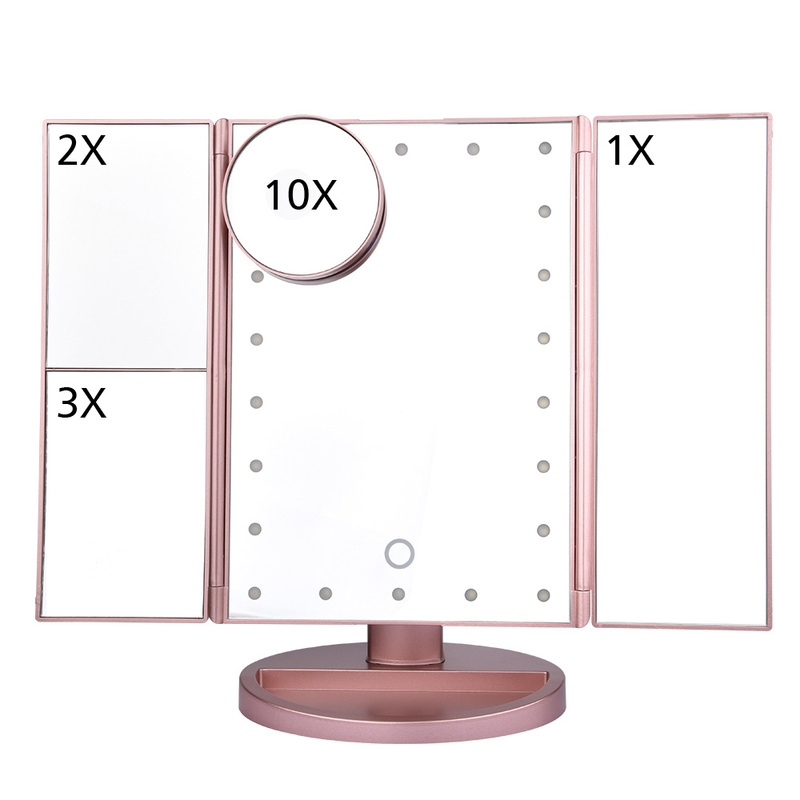 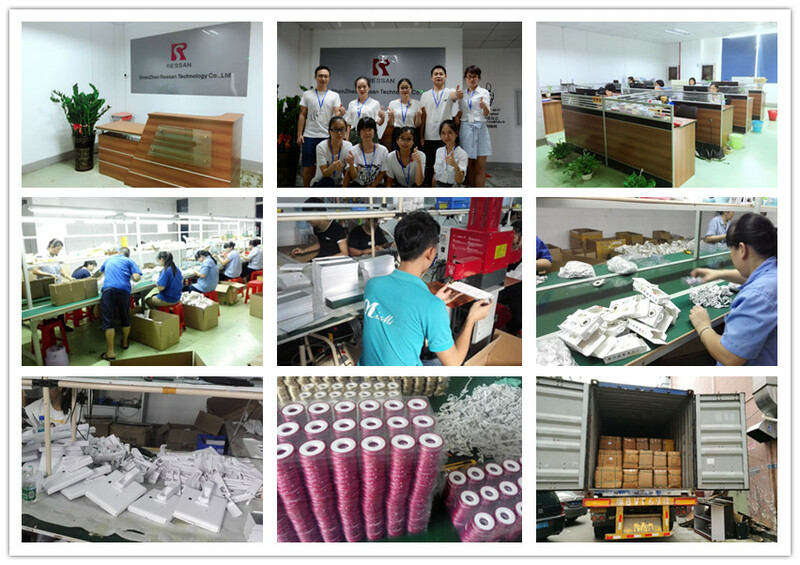 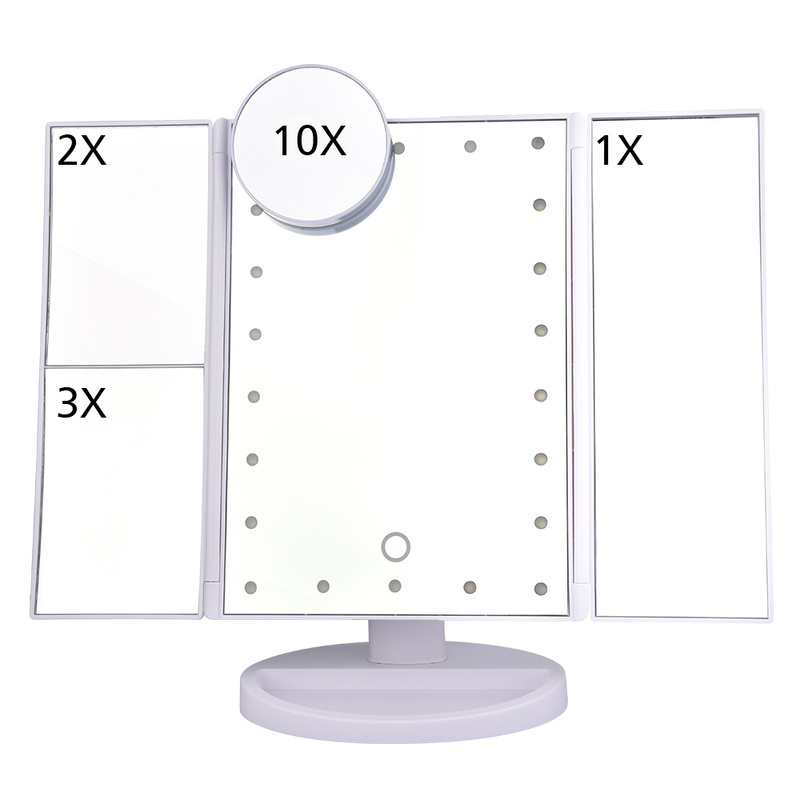 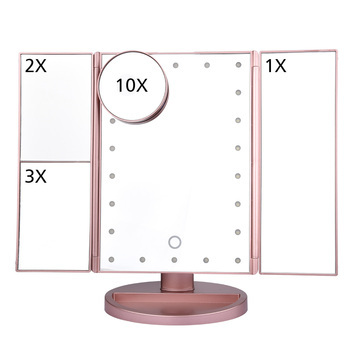 2X mirror and 3X mirror be supplied . 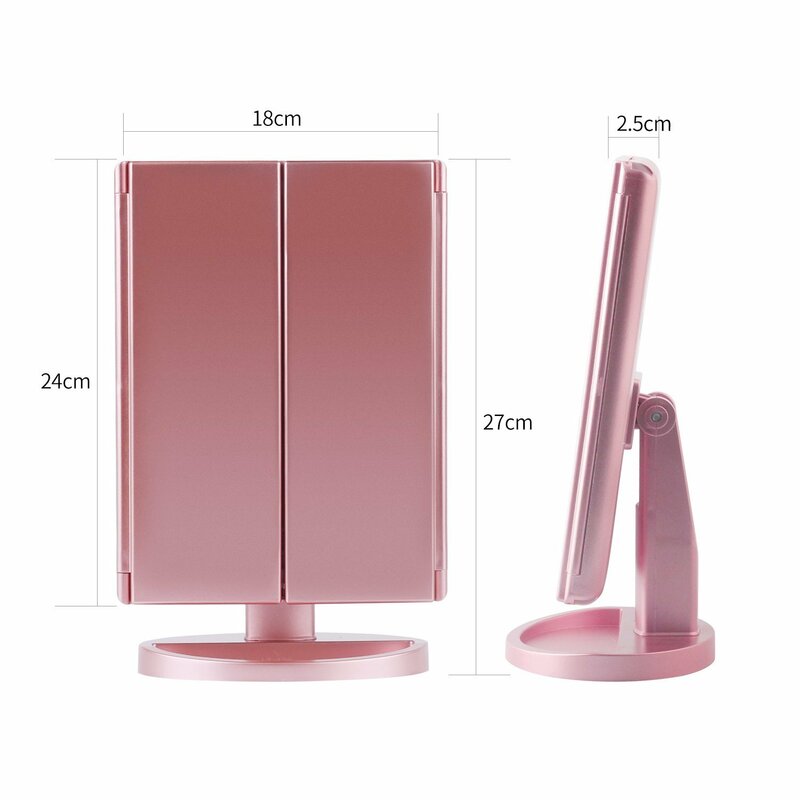 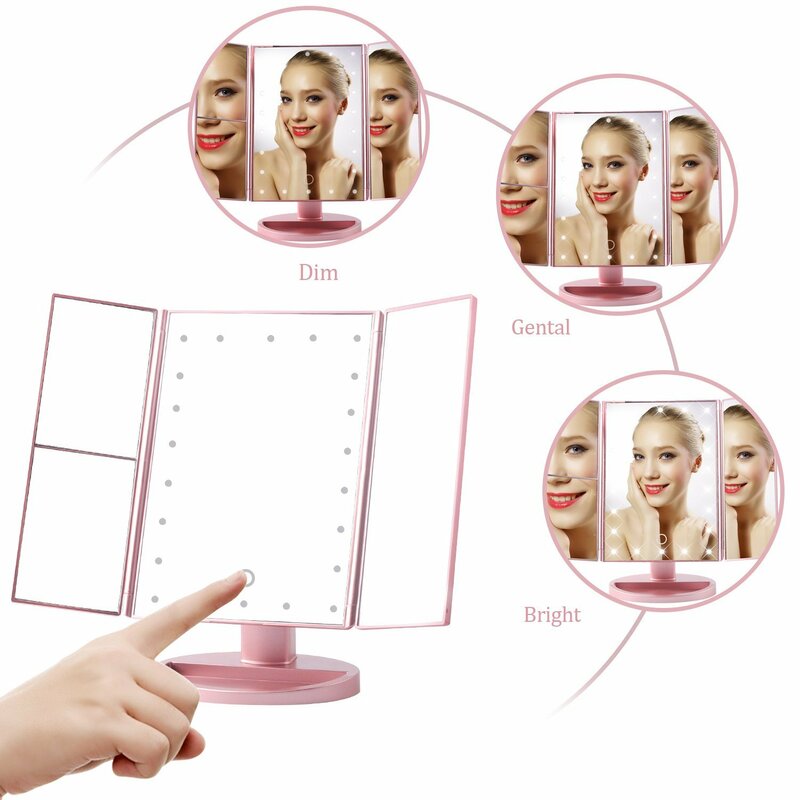 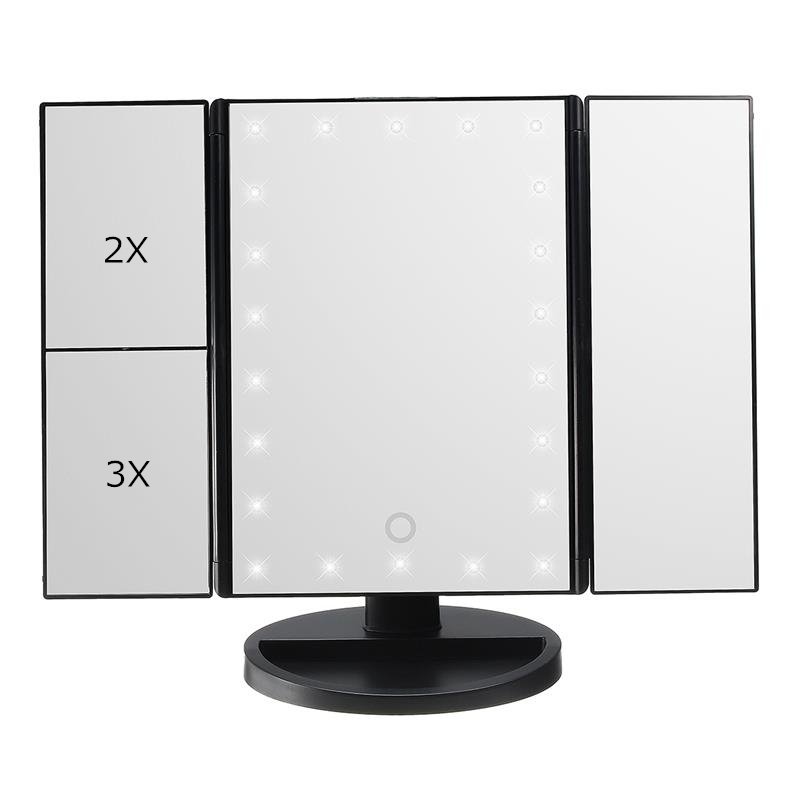 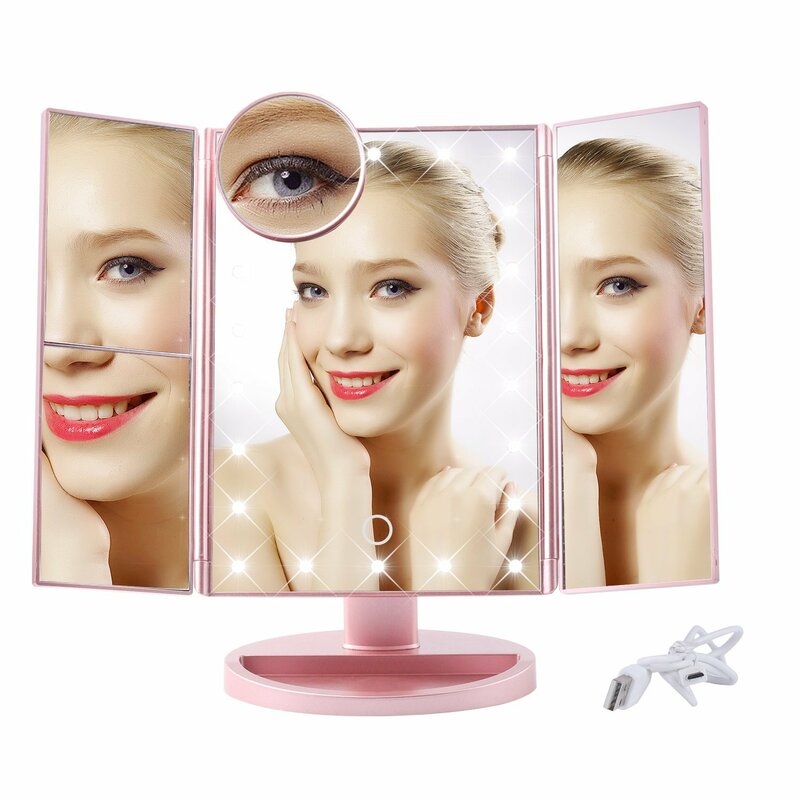 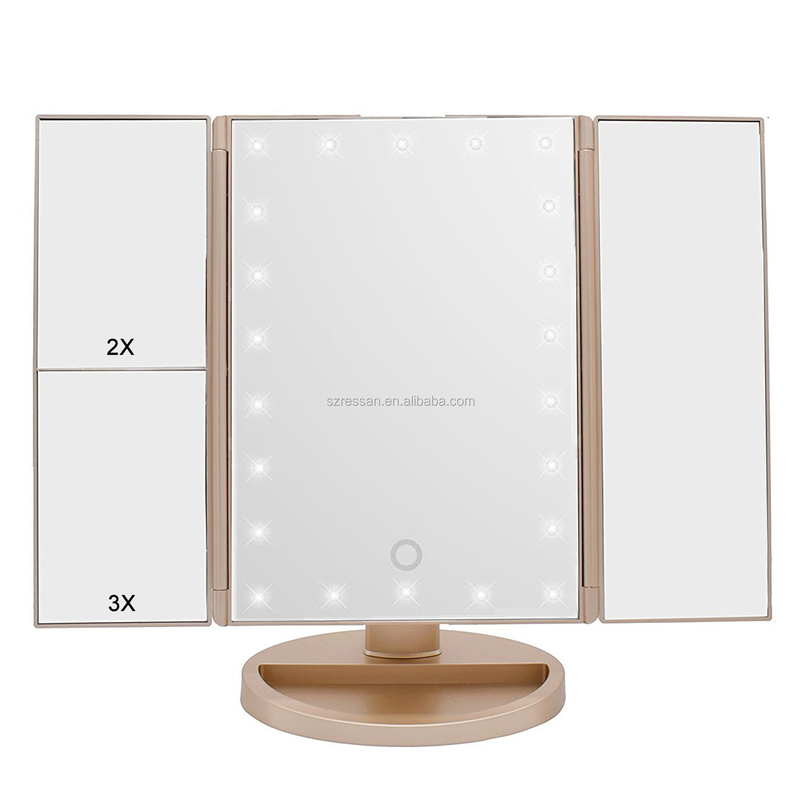 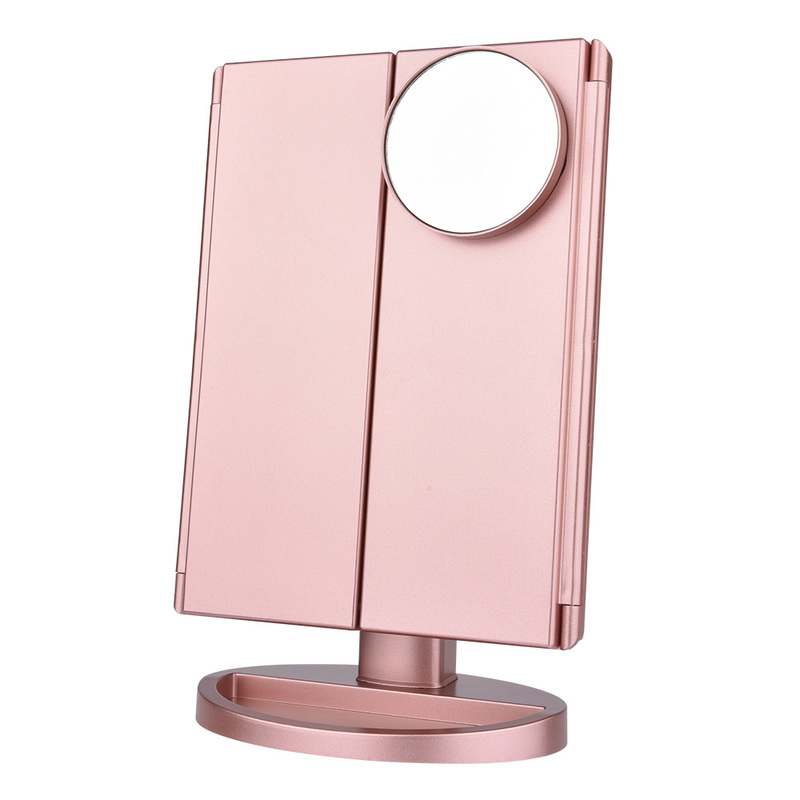 LED light cosmetic vanity mirror with bright LEDS, satisfying makeup needs all day long, even at nights. 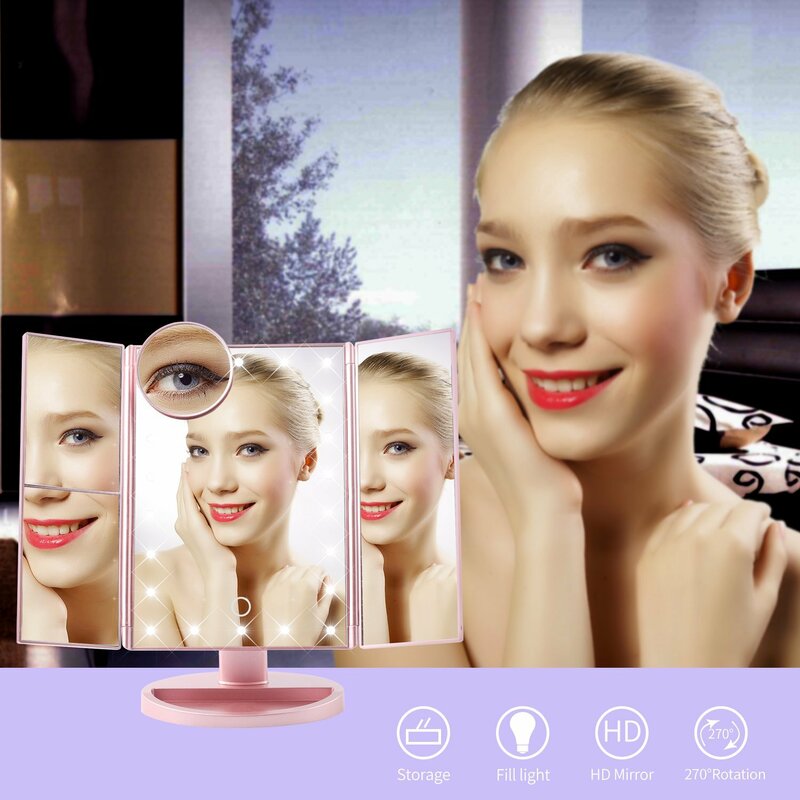 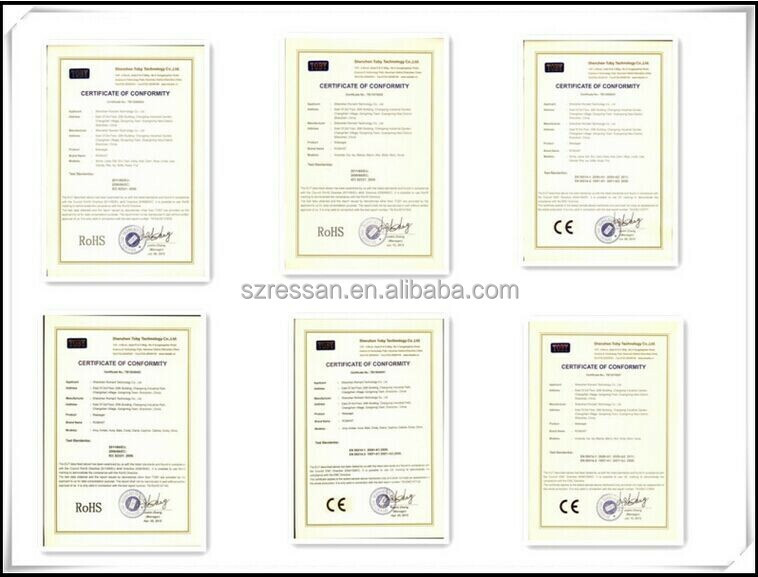 Ultra high definition mirror, long service life to be 100,000.00 hours.